While tourism is growing rapidly and Greece is constantly affirming its position among the world’s prime destinations, voices of concern are spreading among professionals and societies regarding the impact this growth may have on local life and culture. It is true that history and culture remain Greece’s strong assets, attracting millions of visitors every year. Nowhere else can you see the Parthenon and the Acropolis of Athens, nowhere else can you step on the sacred ground of Ancient Olympia, nowhere else can you trace the legendary roots of Alexander the Great. And when these are combined with one of the longest coastlines of pristine beaches in the world, it is no wonder tourists flow in large numbers. Yet, this is only part of the unique blend Greece offers to visitors. A land continuously inhabited for over 6,000 years, it is no surprise its terrain is woven with endless kilometers of walking paths, connecting towns, villages, monuments and agricultural land. Particularly in remote areas, where development and road construction became a reality only a few decades ago, these paths are maintained in an excellent condition, still providing the means to travel between specific locations. The high mountains of mainland Greece and the less developed islands of the Aegean are prime examples of this reality. So what does this mean for the future of tourism in the country? Fortunately, many people in Greece envision an alternative, sustainable model for touristic growth and actually do something about it. The walking paths are no longer considered a sign of being left behind but a precious feature of the Greek landscape. More and more municipalities, associations or simple groups of citizens get involved into maintaining existing paths or discovering and reviving old ones. Remote areas once abandoned are now crossed by locals and visitors seeking an authentic contact with nature, away from the paved roads and the noise of vehicles. Unique monuments, archaeological sites, monasteries or simple farmsteads are found on the way, adding to an experience for all senses and the spirit. An important initiative that has just begun illustrates the trend for this specific form of touristic growth. The 1st Greek Trails Conference took place during the first weekend of November 2017 in Vytina, in the mountains of Arcadia, Peloponnese, bringing together representatives from all over Greece. The event was combined with the 3rd European Meeting of Leading Quality Trails that took over the following days. The organizers, the Social Cooperative “Menalon”, were the first in Greece to be qualified by the European Ramblers’ Association for the work done in Menalon Trail, a 75 klm route crossing the Arcadian mountains. Menalon Trail was the first Greek trail to join the list of “Leading Quality Trails – Best of Europe” in 2015, and since then two more trails in Greece have been added: Andros Routes, on the Aegean island of Andros, and Ursa Trail in the Epirus mountainous region. During the works of the Conference, representatives of all three trails shared their experience of upgrading the paths in their area and incorporating them in the LQT network. This move has ensured meeting specific criteria regarding safety and quality in hiking and has boosted hiking in these areas not only by visitors but by locals too. Other areas in Greece were represented at the 1st Greek Trails Conference, each one narrating a different story of paths, landscape, human labour and persistence. Representatives from the Greek Ministry of Environment and Energy were also invited, presenting the newly launched legal framework of hiking trail specifications. Despite its drawbacks, the framework is an important first step towards organizing and linking existing and new hiking paths in a commonly defined network, ensuring minimum standards of quality, safety and support for hikers. The initiative comes at a crucial moment, with Greece redefining its touristic strategy and seeking new ways to achieve the goal of “365-tourism” –meaning expanding the touristic influx beyond the traditional limits of summer season. It is even more crucial given the excitement created by record-numbers of visitors in Greece in 2017, and the dubious steps tourism professionals and authorities will follow in response. Large numbers of tourists are now setting a serious challenge and the following months will tell how responsibly this challenge is being faced. Under this point of view, the fact that both authorities and professionals have gathered and discussed the prospects of hiking tourism in Greece is already a big step. FindinGreece attended the 1st Greek Trails Conference, joined the walks and lectures and showcased the paths of Amorgos Island. Amorgos is gifted with a dramatic landscape that captures visitors at first sight. Being part of the so-called “barren line” in the past, basic infrastructure didn’t expand on the island until the 1980’s. Both the electricity and road network were completed then, meaning that the ancient paths had formed the only means of transport until that time. To this day, significant areas of fields and some villages remain connected to the rest of the island only through trails, which means that locals still use the paths to move around, on foot or on the back of donkeys and mules. 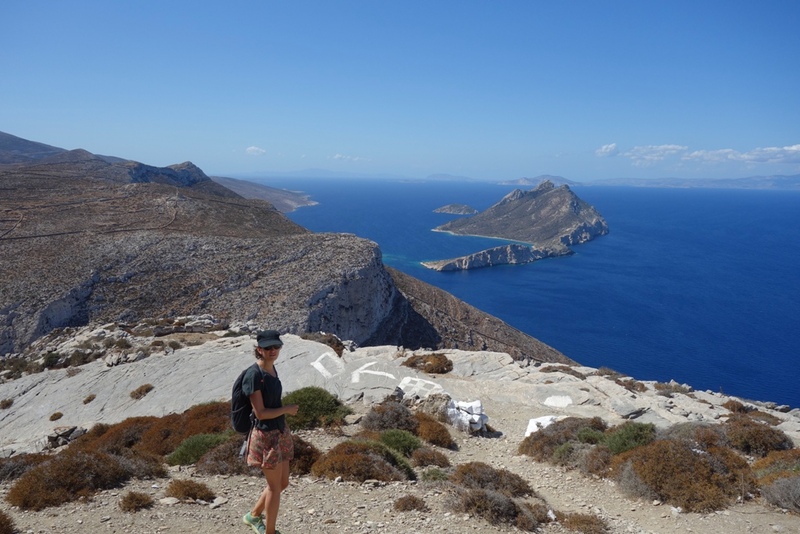 Their very recent –and only partial- replacement by road traffic and their continuous use for practical reasons, have ensured the maintenance of the trails of Amorgos at a very good condition. 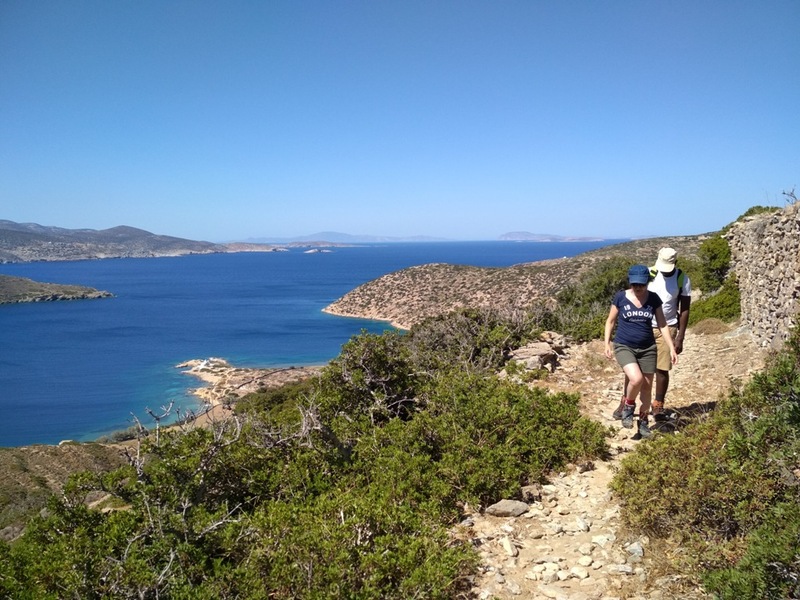 Starting in 1997 with work by the Prefecture of the Cyclades and continuing today with the Region of South Aegean and volunteer work, 8 of the paths of Amorgos have been marked and signposted. These paths are also cleared and kept in a fairly good condition almost year round, allowing hikers to walk along the whole extent of the island without using the modern road network. The island’s most important sites are incorporated in this network, including the 1000-year old Monastery of Panagia Chozoviotissa, an impressive structure built in the cliffs 300 meters above the sea, as well as other historical sites and agricultural structures that hide a long history on their own. To the above, we should add the breathtaking view to the surrounding sea and islands, visible from almost every step on the trails of Amorgos, as well as the mild weather that characterizes the Aegean all year round. It is no wonder then that visitors fall in love with the island and return for new hikes every year. However, it is true that signposting still remains partial, and there are many more hiking routes that lie outside the marked network. 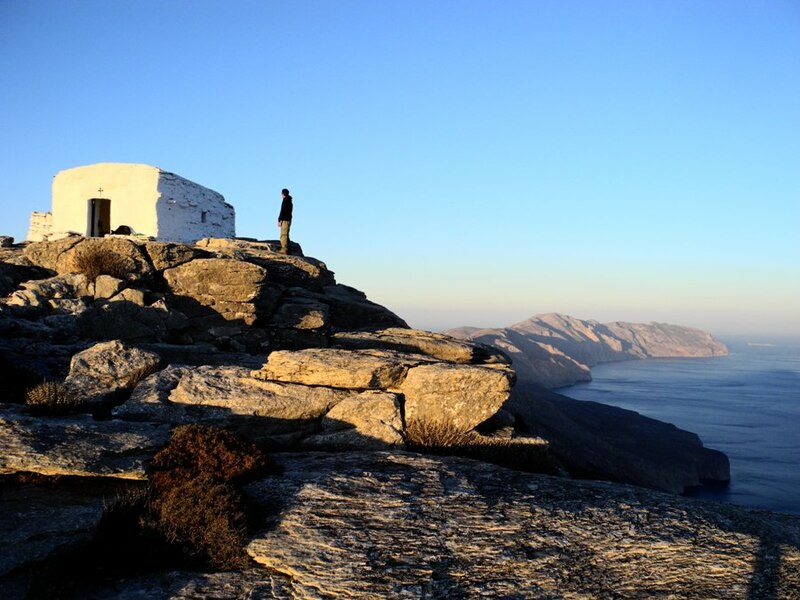 While it is perfectly possible to walk around Amorgos nature on your own, there is so much history lying below the stones and inside the rural structures, that a local’s insight is highly recommended. FindinGreece offers hiking tours of varying duration and level of difficulty, incorporating hidden treasures and knowledge of local culture to a unique experience. 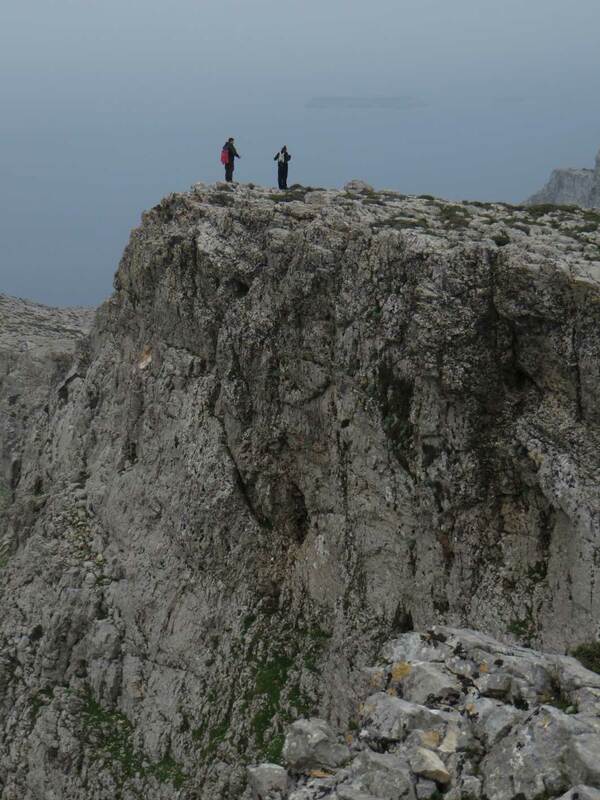 In few places in the world can you walk through history the way you can do in Greece; in few places can you experience mountains, sea, nature and culture the way you can do on Amorgos.